Do you get it yet? You have to stop smoking, now. I lost a friend to lung cancer last week. In the 1980s, she was my director for a number of community theatre musicals. On March 18th of this year I received an email from her through that theatre’s Yahoogroups list, thanking all of us for birthday wishes and signed, “Love to all!” It’s five months later, and she’s dead. A vibrant, life-loving woman in her 70s, gone. Maybe people in their 20s, 30s and 40s (according to Gallup, the largest group of smokers) think that when they’re older they won’t treasure life as much. How can we make young smokers understand that, at 75, they will want to live active, energetic lives just as passionately as they do now? Maybe that cognitive leap isn’t possible. Tobacco companies are banking on that inability to see as a 20-something just how desperately you will cling to life as an elder — and just how worthwhile life will be. When I heard what my friend had died of, I Googled “what is it like to die of lung cancer?” and read an About.com article with growing horror. Nonstop coughing, gasping for breath, increasing weakness, decreased appetite and weight loss, confusion and, of course this: “It’s very likely that you will experience pain in your final stages of lung cancer.” Severe pain, as the cancer spreads to your chest and spine bones. If you smoke, think of someone you love very much experiencing those symptoms. Unbearable, right? Please love yourself enough not to want the same for you. And, by the way, I’m not just, well…blowing smoke. I get that puffing can be awesome and quitting can be hell. I was a pack-a-day smoker for 20 years before quitting cold turkey at age 35. I was motivated by an article I’d read about a little girl with cystic fibrosis whose mother had to dangle her upside down and whack her back several times daily to clear her chest so the girl could breathe. I thought, “That little girl would give anything to have healthy lungs, and I’m voluntarily harming mine.” I quit the next morning. 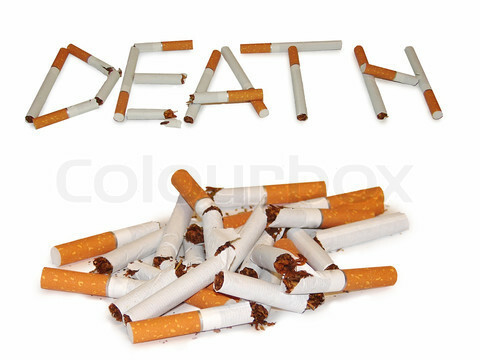 If you want stop-smoking tips, message me. I will help. In the musical “Gypsy,” the newbie stripper is advised by her seasoned colleagues that she has to specialize, has to claim a niche — or, in their words, “You Gotta Have a Gimmick.” And this is true for all professionals. Everyone specializes these days and generalists get lost. I’ve been pondering for some time what I want to specialize in when it comes to my counseling work. For over a year I’ve counseled trauma survivors and that’s one area I can call mine. In my new job, I’m working essentially as a “life coach” to those who are starting over from homelessness. I’ve been thinking about what these jobs have in common, and the big draw for me. And I realize that they both activate my long, long fascination with life transitions, and what I like to call “liminal” or in-between states. This morning, for the first time, I researched the background of the term “liminal states.” I learned that a liminal stage is an anthropological term (“limin” means “threshold”), and it’s a stage of a ritual. Specifically, it’s that state of ambiguity or disorientation that happens in the middle stage of rituals, when those involved are no longer their pre-ritual selves, but not yet their transformed selves. During a ritual’s “liminal” stage, participants are standing at the threshold between their previous way of structuring their identity, time, or community, and their new way of life. They are no longer who they were when they began the ritual, nor are they the person they will be when they emerge from the ritual. And thus my specialty area was born. I plan to do therapy with individuals, couples and families in liminal states, in very specific places of transition. This could be adolescents emerging into adulthood, couples planning marriage (or divorce); those starting or finishing school, or jobs, moving, experiencing midlife changes; in recovery from substance abuse, grieving — any and all transition work. Transition counseling isn’t new, but transition counseling grounded in ritual/stage work is very specialized. We don’t have enough rituals in our culture; my transformative counseling work will focus on ways we need to acknowledge, grieve and/or celebrate change through ritual. So excited!